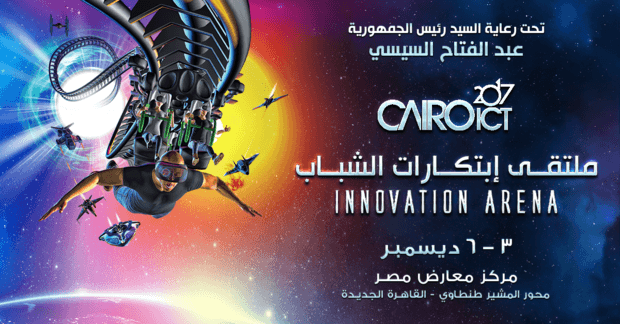 Prepare your ideas for the "Innovation Arena"
50 groups of innovative young people will take part in the “Innovation Arena” competitions will be held alongside Cairo ICT held 3-6 December. Fasten your seatbelts ladies and gentlemen, Cairo ICT is approaching! The biggest conference dedicated to communication and information technologies in the region will be held between 3-6 December at the Cairo Exhibitions Center under the auspices of President Abdel Fattah El-Sisi. 50 groups of innovative young people will take part in the “Innovation Arena” competitions will be held alongside the conference. The competitors have to present their inventions, apps and ideas that will help in developing health, education, social communication, smart villages and e-payments and services to citizen sin general and disabled citizens in particular. Their exhibits will be monitored by investors who will have the chance to adopt the ideas they deem beneficial and profitable. And since 2017 was named the Year of Egyptian Women, the competitions will include a special prize for best innovations by women and girls. The prizes reach up to half a million Egyptian pounds. The conference is set to be the biggest forum where youth innovation meets companies, investors and funds that can change their fortunes to turn them from innovators to entrepreneurs and business owners.